LAS CRUCES, NM (KRQE) – The internet has been flooded with lip sync challenge videos, but the Las Cruces Police Department’s performance is being called one of the best. 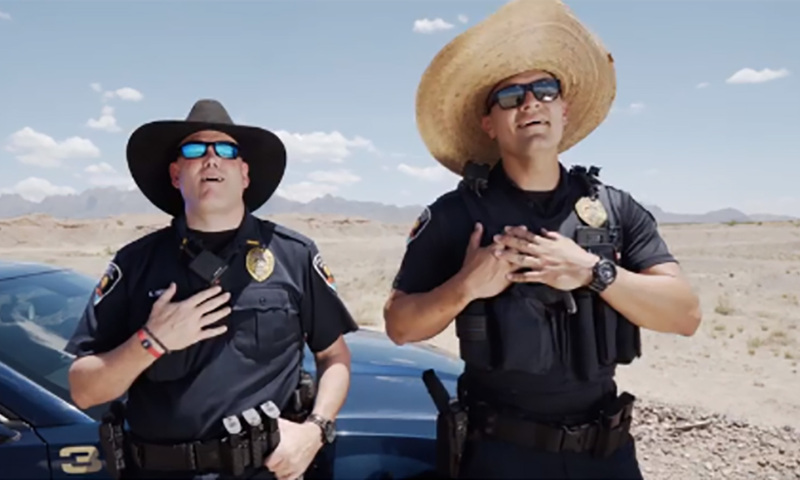 The Las Cruces Police Department posted its rendition of Toby Keith’s “I Should’ve Been a Cowboy” on Wednesday. With more than 450,000 views in just two days, it’s been ranked one of the top ten by news and media website Patch.com. The website gave the department credit for its line dance, as well as including a horse. The video has become so popular, it’s even gotten the attention of Toby Keith himself, who gave the department a shout-out on Twitter.